The boutique of Canfora was founded in 1946 by Amedeo, who created an amazing variety of sandals with hundreds of styles and an infinity of colors. Since then, Canfora of Capri has been outfitting elegant women in its handmade summer shoes made in exactly the same way as Amedeo Canfora did sixty years ago. 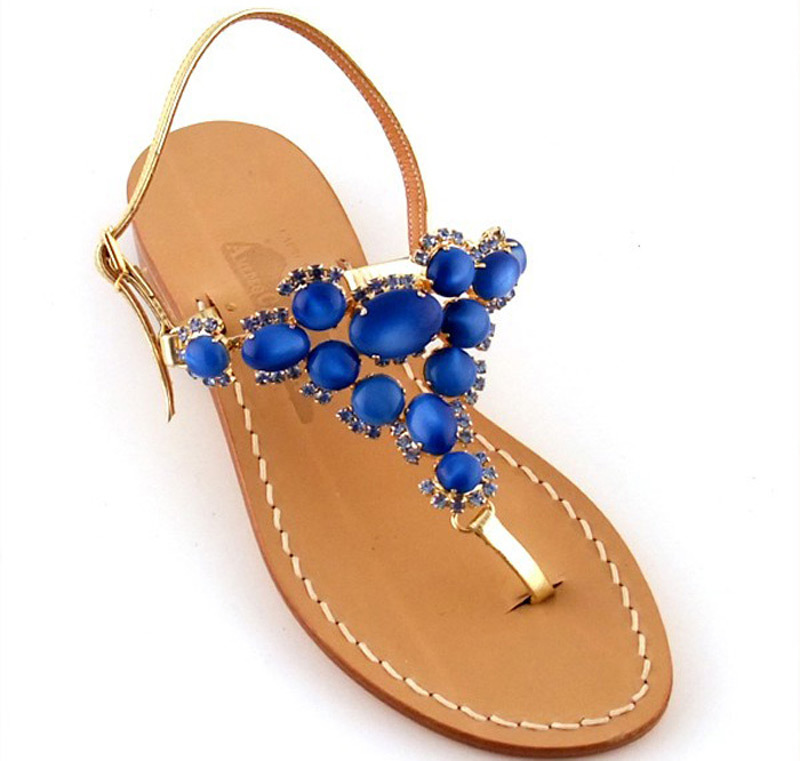 The best thing of all is that these sandals were the first jeweled sandals. Many celebrities and royalty were and are fans of Canfora’s creations. First of all the unforgettable Jacqueline Kennedy Onassis. 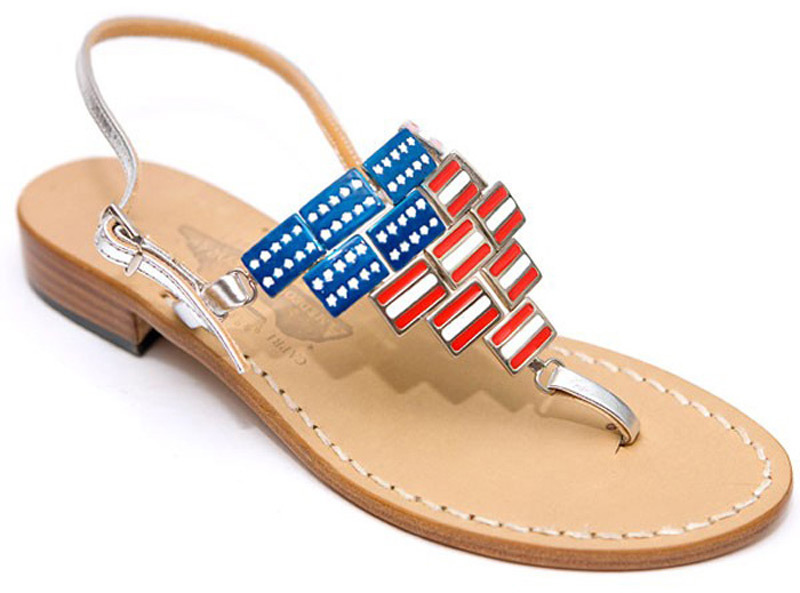 More than once late at night Amedeo opened the shop just for the first lady, letting her choose her favorite sandals. He even made one exclusively for her called “K“. 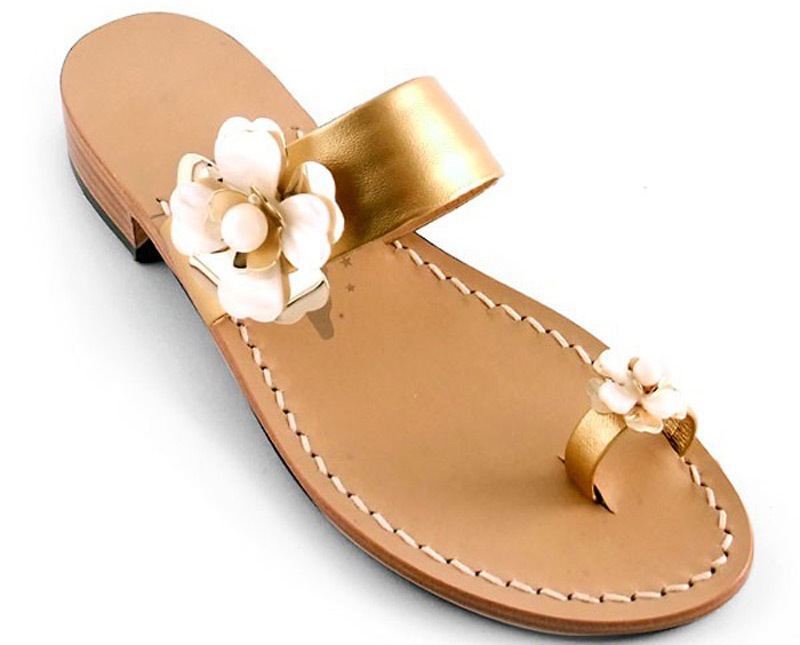 Constructed from genuine goat or calf skin, Canfora’s lightweight and ultra-feminine thong sandals, flip flops and other footwear designs feature embellishments such as glittering jeweled straps and metallic details which make them ideal for any occasion. 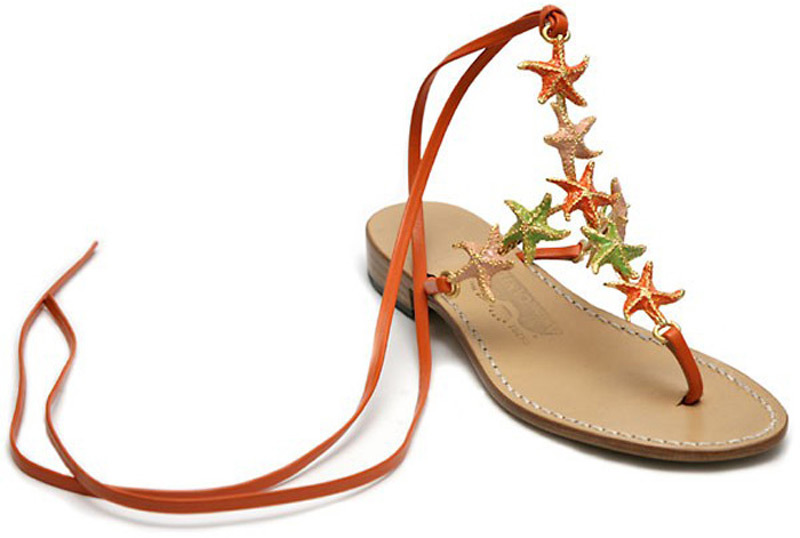 Canfora sandals are available at their workshop on Capri and online. Prices range from $180-$550.